The major new feature in our initial beta 37 is definitely native ad-blocking. 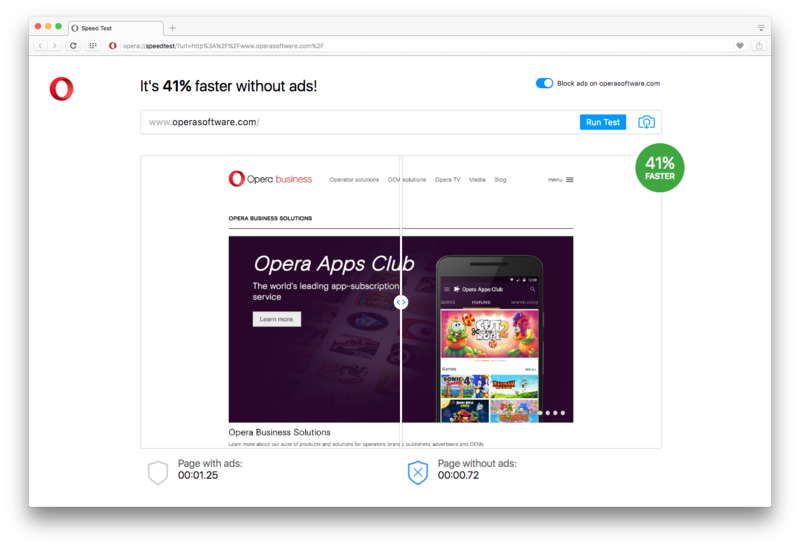 Today, we are introducing our native ad-blocking feature to the beta channel to help you get rid of bloated, overdone ads – and do it very quickly. 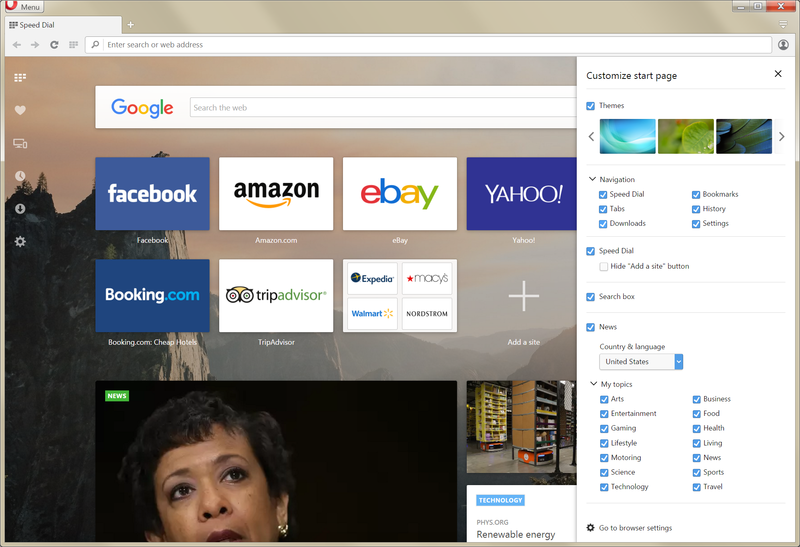 We are the first major browser vendor to integrate an ad-blocking feature. 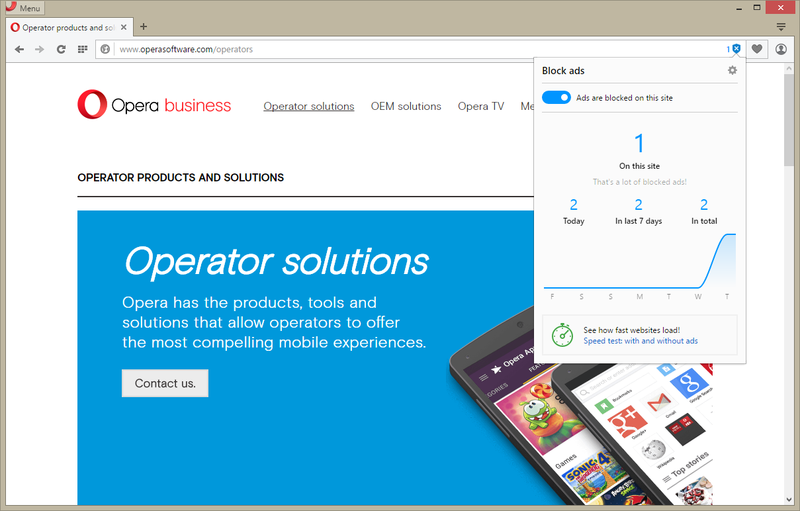 With this option, Opera can now block ads as early as possible: right in the engine, when a network request for a URL is first being made. After you’ve done so, when you go to the page with blocked ads and click the blue shield, you will see a dialog with statistics showing how many ads you’re blocking on the current page and how many you’ve blocked overall. 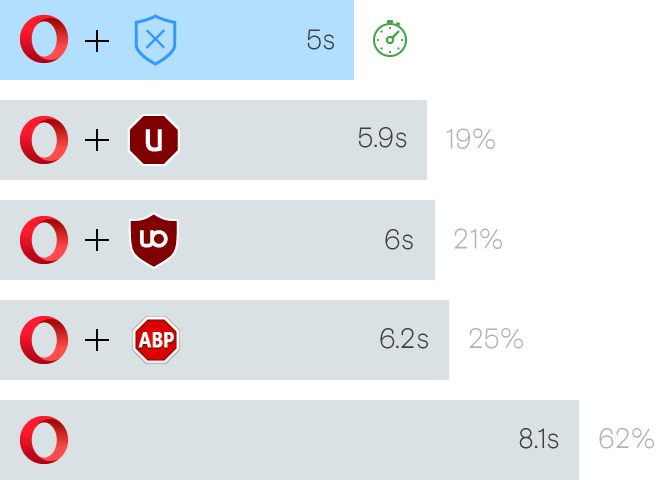 Note the blue number on the left side of the shield that indicates how many ads you have blocked, even without clicking – we have followed users’ suggestions here and implemented this little, yet useful, change. 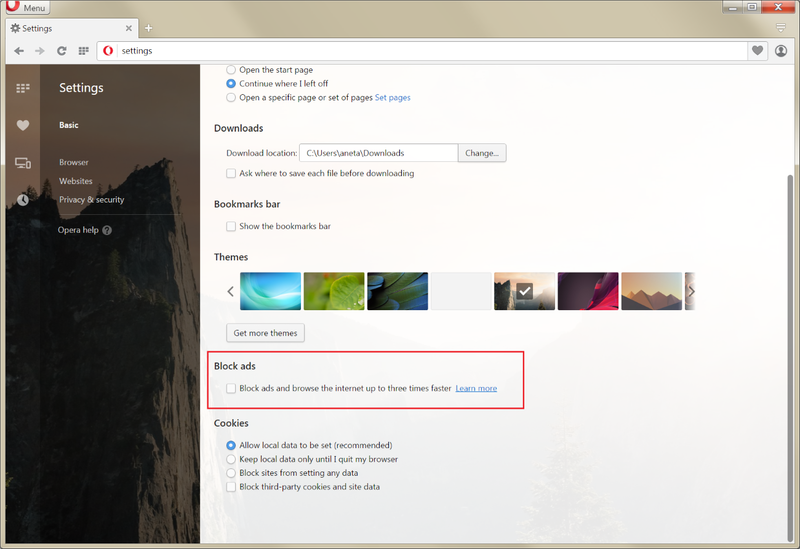 If you disable ad-blocking on a website, the website is added to an exception list (whitelisted), which you can manage from Opera’s settings. Just click the gear icon in the pop-up’s upper-right corner to go there quickly and also to see other whitelisted websites. The exception list now contains only four websites that offer a very good experience to their users with ads on. A lot of our users reported the need for hiding the huge “plus” button in the Speed Dial section of the start page. 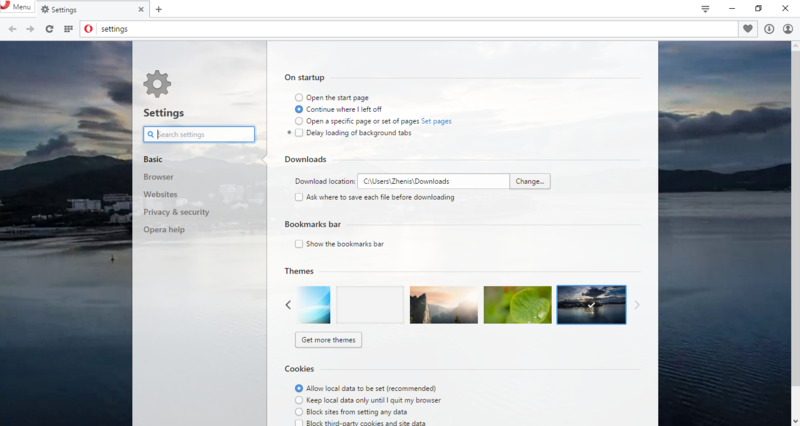 Now, we’ve made this possible through the “Customize Startpage” configuration panel. Just make sure that you have enabled “Show advanced options” in the Settings page. Also, we have made it possible for you to customize items appearing in the sidebar navigation panel. Just go to the customization menu, expand the “Navigation” section and enjoy access to downloads and settings! We’ve also introduced the possibility for you to give us direct feedback. 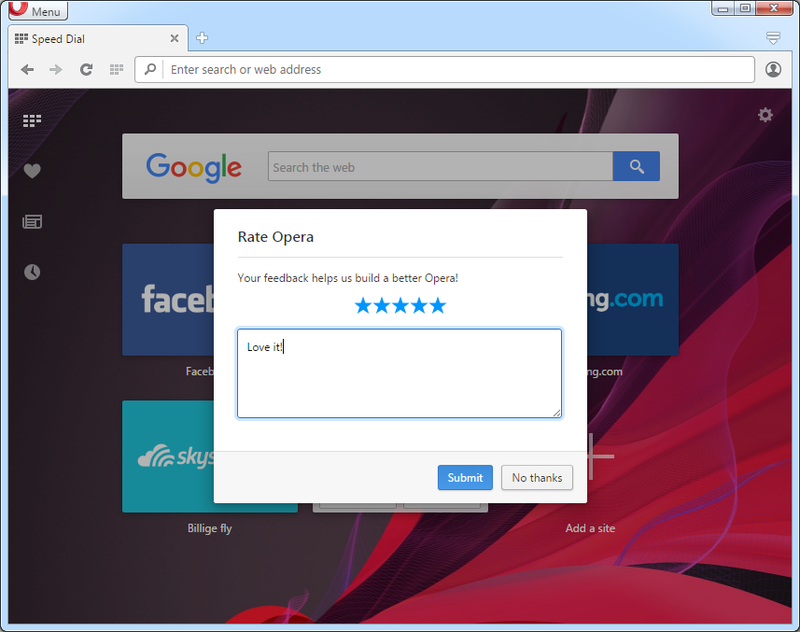 Users will be randomly selected to participate in a poll to rate Opera. 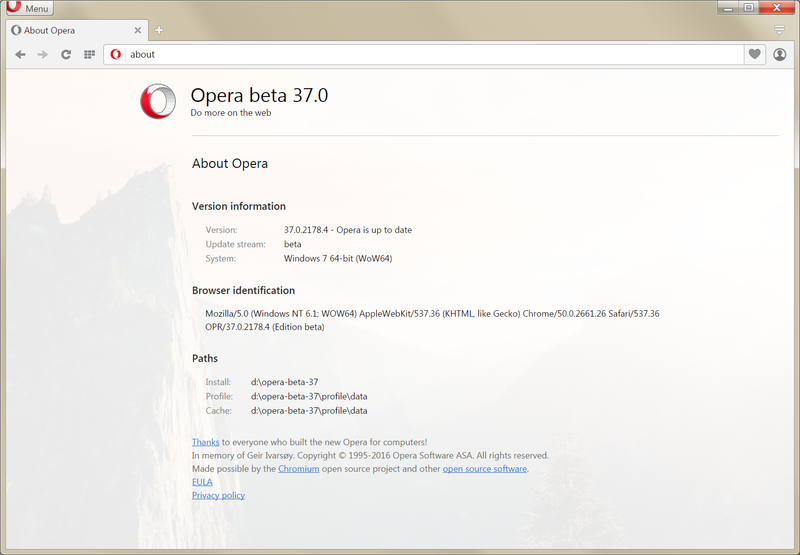 The “Rate Opera” button will first be visible any date from 7 to 365 days after switching to Opera 37+. This date is chosen randomly to allow all users to express their opinion throughout the year. The button will be visible for up to 3 days, or until the user submits or cancels the “Rate Opera” dialog. Then, the “Rate Opera” button will return a year later. 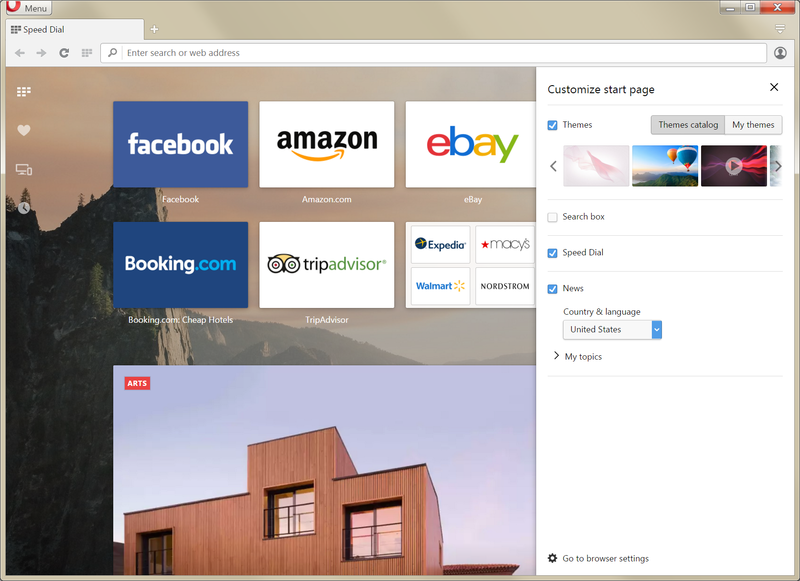 We’re now using the system context menus to create a unified look across platforms. This is a minor change, most visible on Windows 8+. 1) Prevent the syncing engine from stopping unless the user logs out intentionally (maintain the connection even when kickouts happen). 2) Auto-relog to the syncing service in case of kickouts (if user agreed to store his/her credentials). Both of these changes, as well as a number of other fixes, will increase the stability of synchronized connections. In order to enhance security in the browser, we have implemented the Google certificate transparency (CT) system made for preventing and discovering certificate forgery. More details on the feature can be found here. We have also added Chrome topSites API compatibility, which will be most interesting for extension developers. More info about this feature can be found here. As you can see, we have some new, nice things for you here. See for yourself and enjoy!